Looking at images of cute baby animals may not be as distracting from your workload as employers may think. A new study out of Japan finds that staring at adorable baby animals may actually boost concentration and the ability to complete assigned tasks compared with other popular images one may see while surfing the web. In Japan, cute things are called "kawaii," and researchers at Hiroshima University wanted to find out whether looking at a cute object does more than produce temporary positive feelings and if it could actually influence a person's behavior. They gave three experiments to 48 university students (24 male, 24 female) to put the power of cuteness to the test. For the first experiment, researchers asked students to play a Japanese children's game called Bilibili Dr. Game that required using tweezers to remove small objects from holes in a patient's body, much like the U.S. board game Operation. After completing the first round, students were given images of either puppies and kittens or adult dogs and cats before completing the task for 14 trials. 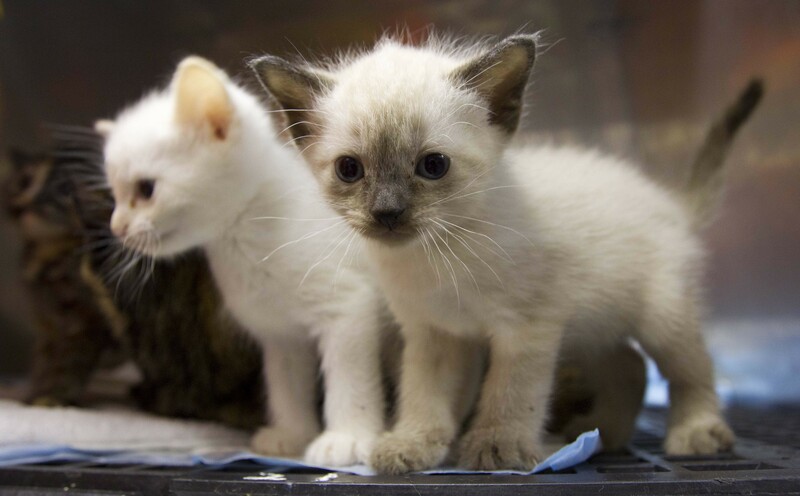 The researchers found viewing cute puppies and kittens translated to a 10 percent improvement in the task compared with only a 5.5 percent improvement at the game after viewing cute adult cats and dogs. Their next experiment involved concentration tasks in which 16 students were asked to search sheets of paper that contained a group of 40 numbers for one particular number (for example, 6) and identify them vocally without pointing over a three-minute time period. Between trials, students were shown baby animals, adult animals, and this time images of food which included steaks, pasta, and sushi. The researchers found significant improvements in students after viewing images of baby animals while viewing images of adult animals and foods led to no improvements in ability to complete the task. "The finding that highly pleasant food images did not affect subsequent performance indicates that the general pleasantness of images is not the main cause of performance improvement," the researchers wrote. The last of the experiments involved a task in which 36 students (18 male, 18 female) who were not involved in the previous studies were asked to perform a reaction time test to quickly select letters presented on a screen. The test was meant to gauge students' focus. With each task, students were randomly shown eight images of either baby animals, adult animals or pleasant foods. The researchers found those who viewed cute baby animals were more focused than counterparts who viewed the other images. "The present study shows that perceiving cuteness not only improves fine motor skills but also increases perceptual carefulness," the researchers wrote. "This study provides further evidence that perceiving cuteness exerts immediate effects on cognition and behavior in a wider context than that related to caregiving or social interaction." While the study had its limitations into understanding the psychological and physiological state that occurs when viewing cute baby animals, the researchers say viewing cute objects may contribute to better behaviors. They wrote, "Cute features not only make objects more user friendly and approachable, but also induce careful behavioral tendencies in the users, which is beneficial in specific situations, such as driving and office work." The research was published in the Sept. 26 issue of PLoS One.